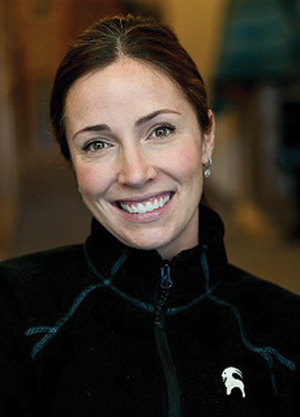 BOULDER, COLO., January 8, 2013 – Outdoor Industries Women’s Coalition (OIWC) is pleased to announce that Jill Layfield, CEO of Backcountry.com, will present as the keynote speaker at its 2nd annual Outdoor Retailer Winter Market (ORWM) Breakfast and Leadership Awards Presentation. The event is sponsored by Timberland and Outdoor Research with support from Outdoor Retailer. Since joining Backcountry.com in 2004, Layfield has moved through the ranks from the company’s Director of Customer Marketing role to become the VP of Product Development in 2009, COO in 2010, and CEO in 2011. Through her multitude of roles at Backcountry.com, balancing CEO duties with parenthood, and serving as one of the few women CEOs in the Outdoor Industry, Layfield will reflect on how her experiences can help other companies in the Outdoor Industry explore greater workplace inclusion and leadership diversity solutions. In addition to Layfield’s presentation, the OIWC will recognize two women in the industry with OIWC Leadership Awards for their stewardship and inspiration to others. The keynote breakfast and leadership awards presentation will take place during the ORWM tradeshow on Friday, January 25, 2013 from 7:00 – 9:00 a.m. at the Marriot Hotel in Salt Lake City, Utah, Salon F-I. The event is free and open to the public. Founded in 1994, the Outdoor Industries Women’s Coalition is the only national organization dedicated to workplace diversity and inclusion by expanding opportunities for women and companies in the Outdoor, Snow, and Bike Industries. OIWC provides for professional development and women’s leadership programming that promotes women's advancement. For our over 90 industry partners, OIWC is the trusted resource for best practices and industry models around workplace diversity and inclusion. To learn more about OIWC or to become a new member or sponsor, please visit www.oiwc.org.